And then he punched me in the face: left fist, right fist, left fist again. I tackled him. It wasn’t a perfect rugby tackle — I wrapped his midsection instead of his waist — but it was enough to bring him down. Two fellow passengers helped subdue him while we waited for the cops to show up. The cops moved us apart and one of the officers kept asking me if I needed an ambulance. Then they asked if I wanted to press charges. I said that if he said he was wrong for punching me, I wouldn’t press charges. So the young kid came out and looked me in the eye and said he was wrong to punch me and that he was sorry. I nodded, we shook hands and did a half-hug. One of the cops said, “That’s beautiful, man.” And then his girlfriend showed a FaceTime video of his mom thanking me for not pressing charges. It was incredibly exhilarating and I would have easily spent hundreds of dollars for that experience. I mean, it was awesome. 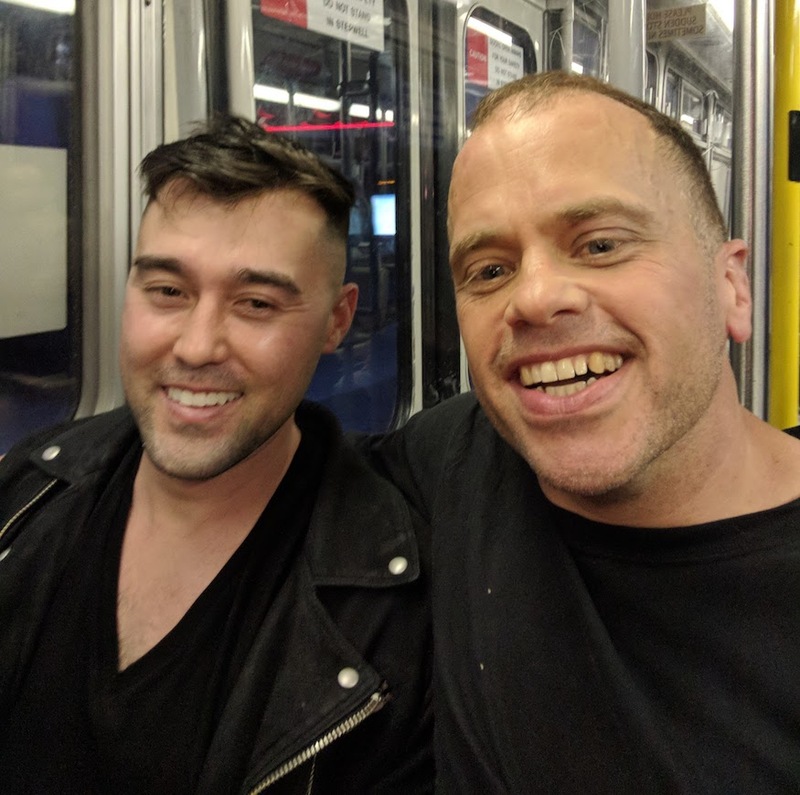 The guy I’m in the picture with — the guy on the left, I think his name is Taylor — is one of the passengers who held the guy down. Heroic. My name is Brian Cunnie, I’m a 54-year-old software developer in San Francisco who plays rugby. This reminds me of the time when riders stood up against a Muni creeper, and when another group of riders put an end to some asswipe who thought body shaming was OK. It’s good to know that we’ve got each other’s backs when it comes to bad behavior. Got other important stories for your fellow riders? Muni Diaries only exists because of your stories and submissions, so tag us on Facebook, Instagram, or Twitter. Our email inbox (muni.diaries.sf@gmail.com) is always open, too. pure silliness, but glad you enjoyed the experience (i guess). asking him to “take it outside”, however, didn’t make much sense to do. at least in the vehicle, the girl would be less likely hit. it’d be a tricky situation, though, admittedly. with him simply displaying anger and nothing else, it would make for a difficult approach. but i appreciate you trying to help, and undoubtedly you did help in some way. so, citizen-to-citizen: i thank you.